Believe it or not, the only difference between brown eggs and white eggs is the shell color! 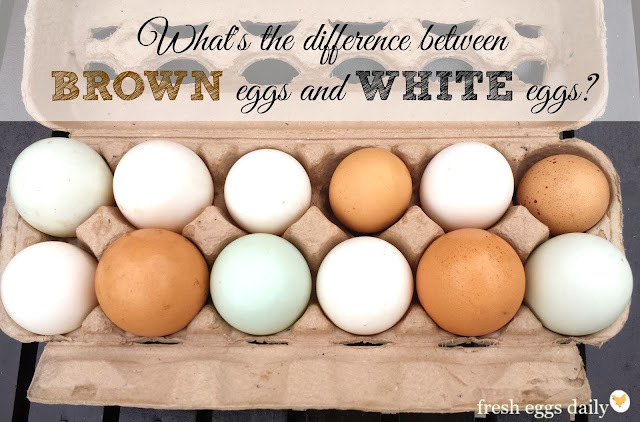 Not only do they look exactly the same inside, the inside of the shells of both brown and white eggs are actually white, they taste the same and have the same nutritional value. The nutrition in an egg is determined by the hen's diet for the most part, not the shell color. The different shell colors are actually dictated by breed. All eggshells start out white, then depending on the breed, the shell can be 'dyed' with brown pigment or left white. So the color is just applied to the surface of the shell near the end of the laying process. Growing up across the street from my grandparent's chicken farm, all we ever ate was brown eggs from their mixed flock of Rhode Island Reds and Australorps. But I remember often going to friends' houses and seeing white eggs bought from the super market. As kids, we learned that 'brown eggs are local eggs, and local eggs are fresh.' Not entirely incorrect actually. Historically, Leghorn chickens were raised by the commercial poultry farms for egg production because not only are they star layers, but due to their very slight body type, they don't eat as much as the larger breeds and therefore are more economical for large-scale operations. That is to say, it requires less feed (and therefore less cost) to produce one egg, so the commercial farms can keep their profit margins higher. 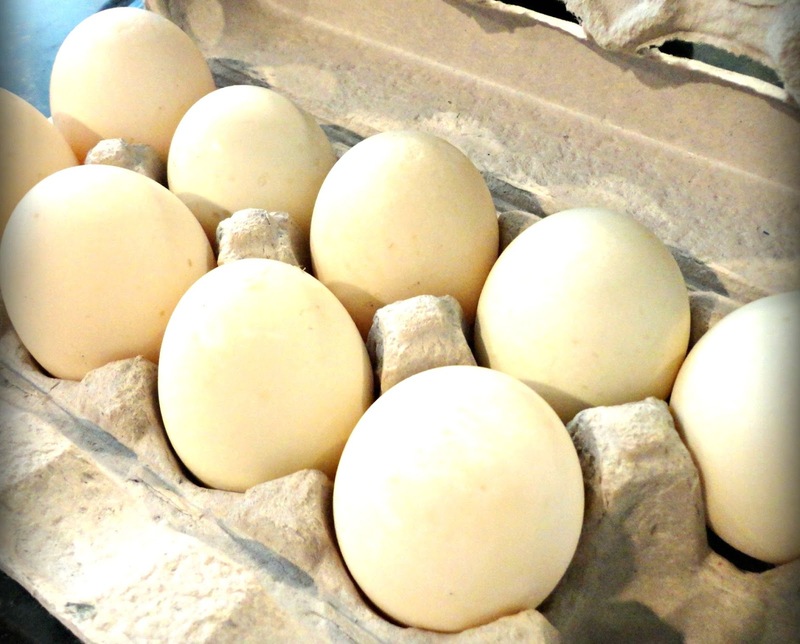 Leghorns lay white eggs, so store bought eggs were typically white. Being larger, they eat more feed, comparatively. They also lay brown eggs. So it became the norm that commercial eggs were white and 'peasant' eggs were brown. The upper class in the urban areas began to think of brown eggs as 'lower class' and preferred white eggs, and so white eggs became the predominant eggs being sold to the masses commercially while farm families happily ate their brown eggs. With the recent interest in eating local foods, brown eggs have begun to come into favor and be seen as the 'healthier' choice in eggs. Grocery stores started stocking 'free range', 'pasture raised', 'local' and 'cage free' brown eggs and selling them for a premium. Now, there are more brown eggs than white eggs at our super market! So I guess others have finally learned what we knew all along - 'brown eggs are local eggs and local eggs are fresh'. But in actuality, it's all just perception. The reality is that eggs produced by local chickens allowed to roam and eat grass and bugs while they get fresh air and exercise, whether brown or white, are fresher, more nutritious and more delicious. 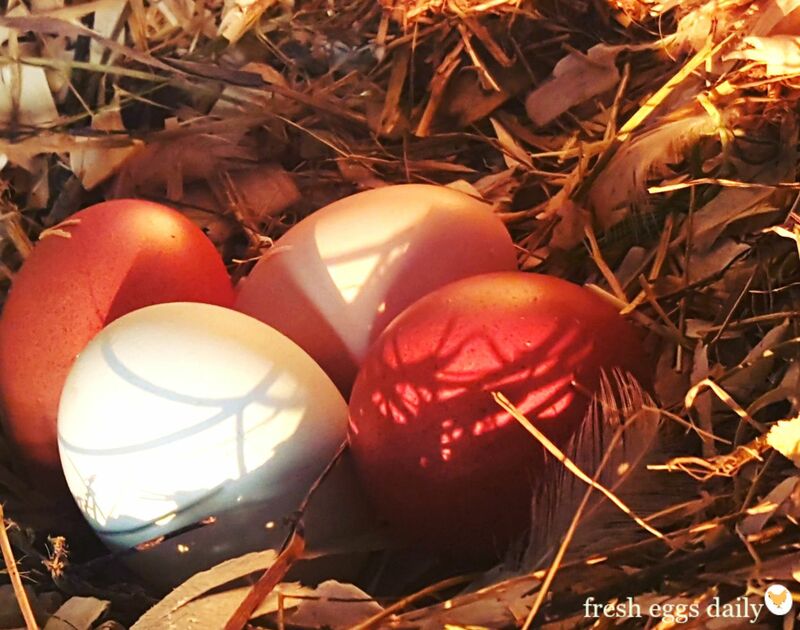 For more information on the other various colors of chicken eggs, you'll want to read this. And this article answers the question "what makes blue eggs blue?"